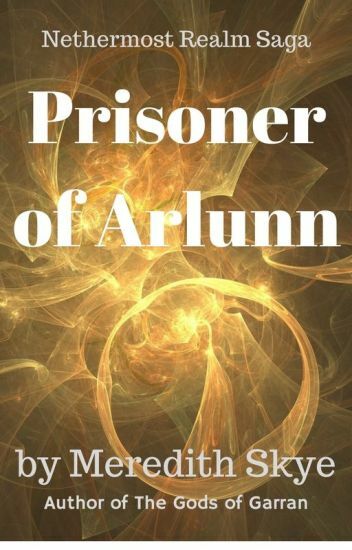 Rian, a 17 year old boy from Earth, is transported to alternate magical realm where he is the lost heir to a throne. There, he find studies magic at the wizard college on Arlunn. Soon, a Challenge begins where the princes and princesses of the Seven Worlds of Cathal battle for the privilege of becoming the King (or queen) and having their lifespan extended to rule over the next Age. But in this other realm, Rian must fight to save his ten year old brother, Kyran, from those who accuse him of being cursed and want him destroyed. "Magic Spawn Origins" introduces Rian and Kyran and takes place before Nethermost Realm. It can be read separately. A dictionary for all character references, the various fire formations, elemental strengths and weaknesses, species skills, elemental abilities, and etc. mentioned and used in the Dragonfire trilogy and any side stories that may be attached to the series. Come one, come all to the Death Battle arena! Where we pit characters, from real fantasy authors right here on Wattpad against each other in a battle to the bitter end! Watch everything from zombies to stuffed cats to hellspawn to angels and beyond fight for supremacy in the highest stakes tournament this side of the fantasy realm! Note: All characters belong to their respective owners; I do not own any of them! Rellian Cerulin is a fallen hero. Everything he's loved, done, and been taught has been destroyed by one man. Vengeance plagues his mind every night. The only thing holding him back from finding the traitor that ruined his life is a set of Pathan morals. However, morals are flimsy things in a warrior's life. His travels throughout the world of Resi as a bodyguard reveal interesting things about who he is. And who he should be. Frayer Degru is a Descendant. A warrior that has been taught to battle ancient creatures of old. He resists the urge to question his leaders as they order him to travel on meaningless expeditions into Sehriel, the abandoned land of a lost nation. Or is it lost? As Frayer and his team explore the Sehrien mountains, they discover something odd. A sound coming from the deep recesses of the caves. Karis Chacer has been taught to despise the Noonfighters for their betrayal months ago. She trains in the Academy, working to be a Dawnrider. However, a sudden appearance of a figure that was thought to be a legend changes her entire view on reality. After all, if gods can exist, what of their counterparts? And, in the midst of these discoveries, Resi shifts in his slumber. He begins to open up to the deiverse once again, searching for the beast that had nearly destroyed his world centuries ago. King. A mysterious beast with equally shrouded motives. He is dangerous. He is evil. Copyright © 2015, Benjamin Rain. All Rights Reserved. Thank Andreas Rochas for the cover art. Great Artist! Recommended for Sword & Sorcery fans! A breathtaking fantasy story of an ancient northern world with mystic places and gritty anti-hero type characters, including a complicated love story. Good writing, fun and easy to read with decent lore. Dryston of Decia, a poisoned fighter, his ex-lover and sorceress Kyra Celeste and a girl with a death list tattoo will decide the fate of a whole world. Walking on a thin line between good and bad, survival and heroism, they struggle to solve the puzzle of secrets and conspiracies. In a war marking the end of time unpredictable magic, drugs, dead bodies, monsters and a secret plaster their ways and put feelings, loyalties and morals to the test. Will they find the man who is guilty of Dryston’s slow death? Is there a cure? With the fate of the world uncertain, prophecies told and legends rising, how will Dryston and his comrades decide the world’s fate? If you enjoy fast paced action with no filler, strong female characters and gritty anti-heroes then this book is for you! This is a story i made. It's based off of the game unturned which you are in a survival situation  with a zombie apocalypse. Inkwell Academy. The most prestigious school for evolutionary advancements such as yourself. The Evos are outcasts, ridiculed and mistreated like freaks; which is sort of true. The Inkwell Society is a safe haven, along with others, for people just like you. Learn to further your abilities and traverse your way through clubs and drama. Sounds easy, but it's not all fun and games. The world is flipped upside down when a small terrorist group attacks and keeps the students of the prep school hostage. Will you stay behind and cower in fear safely at the back of school, or will you rise up and attempt to free your school from submission? When it looks like humantiy can't hold out any longer, Lake Taylor finds himself and his little sister Rory on one of the last ships making a mad dash to get off-planet. A shuttle awaits, if they can make it, to take them to safety, away from the cruel, mechanical Cygni invaders. However, just getting off Earth is only the beginning and Lake discovers sometimes things don't go as planned and danger will pursue if given half-a-chance. There is a prophecy of a Moonlight wolf that is destined to aid in saving the kingdoms of Anzellix. Mordecai may be the one prophecized and barely knows how he got separated from his real home. Living with a trio of brothers on an island, Mordecai has only had a small fraction of memory of who he is and what happened until now. Join Mordecai as he mets new allies, battles evil, uncovers his special and rare powers, and faces a corrupted wolf by the name of, Shadoweye. Does Mordecai have what it takes to be the one in the prophecy? It's that time, 'troopers... Get your ticket and board the Good Ship @Ooorah ... Join us as we launch and head towards a distant star system! It's gonna' take hundreds of years to get there so none of us will ever see it, let alone set foot upon any of its worlds but our descendants will... This one's for them! This is a work in progress! Its going to be a series of short stories from the land of Arvain.